We’re just days away from the 2017 NBA Draft, and the few days leading up to the event have already been more exciting than the entire playoffs. Earlier this week, I released my top 20 prospects. So naturally, the next step would be to put together a mock draft, and that’s exactly what I’m doing for y’all today. Very few things annoy me more than mock drafts with paragraphs on paragraphs worth of analysis for each pick, so I’ll try to keep that part as short as possible. For the record, trades were not included in any part of this mock draft. 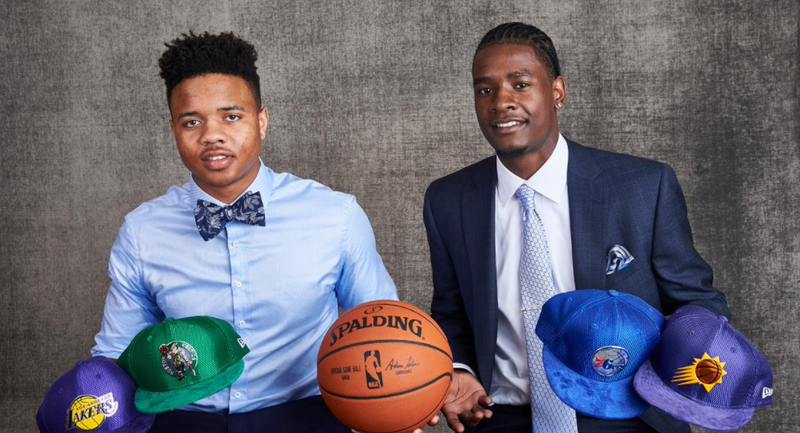 The 76ers traded a future first-round pick along with the No. 3 pick in this year’s draft to move up to the top spot for the right to draft Fultz. When current players on the team are tweeting things like this, it’s a pretty safe bet he’ll be the first player to hear his name called on Thursday. Lonzo Ball has been, and probably still is, the favorite to go here. It’d complete Lavar’s master plan to have his kids take over the LA basketball scene. But multiple outlets are reporting Magic Johnson is enamored with Jackson’s talent and athleticism, and the Kansas product fits the Lakers’ needs more than Ball does.  Los Angeles invested the second overall pick on D’Angelo Russell just two years ago. It seems a little too early to give up on him as their franchise PG for Ball, who is far from a sure thing on the next level (UPDATE: Lakers have traded Russell to the Nets, will get 27th pick). If Jackson is still on the board, he’s the pick here. But in this scenario, the Kansas product is gone, and Tatum gets the nod. Tatum would provide Boston with another scoring option to pair up with Isaiah Thomas. Watch some tape from last season of the Celtics offense when IT was on the bench—it was atrocious. Tatum could help fix that problem from the minute he puts on that green-and-white jersey. This feels like the best-case scenario for Phoenix, which reportedly was exploring trade options with the Lakers to move up and take Ball at No. 2. Ball would fit perfectly next to Eric Bledsoe and Brandon Knight in the backcourt, making either expendable if the team wants to go down that route. If Fox had any semblance of a jumper, he’d be in the conversation with Fultz for the top pick in the draft. The rest of Fox’s game is already NBA-ready, and he’ll probably be Sacramento’s starting point guard his rookie year. The NBA is a point guard-driven league, and the Kings are seriously lacking in that category. If the Magic are serious about keeping Aaron Gordon at the power forward position, Isaac is the only pick here that makes sense. The Florida State freshman is long and athletic like a power forward, but prefers to play out on the wing like a small forward. Isaac can step out beyond-the-arc and knock down triples, which would open up some more driving lanes for Gordon. In a perfect world, Isaac would fall to the Timberwolves to form a crazy versatile, inside-out frontcourt combination with Karl-Anthony Towns. With Isaac off the board, the Timberwolves are in a bit of a pickle. The best players left on the board are guards, and Minnesota invested a lottery pick in Kris Dunn a year ago. However, Monk is too good to pass up at this point of the draft. In today’s NBA, you can’t have too many shooters, and Monk is as good as it gets in this class. He’s a very similar player to what the Wolves already have in Zach LaVine, but he’s the best prospect available at this point, and there aren’t any prospects worth taking this high that fill a major need for Minnesota. The Knicks are in desperate need of a point guard, and Ntilikina has all the tools to become a valuable floor general on the NBA level. The 6-foot-5 Frenchman is a bit of an old-school player, in the sense that he’s a pass-first point guard. As long as Phil Jackson is running the show in New York, the triangle offense will continue to be preached behind closed doors. In that system, you need a traditional point guard, and he fits that mold a little better than Dennis Smith Jr. The Mavericks also desperately need help at the 1, and DSJ isn’t just the best PG left on the table—he’s the best overall player still available. The explosive scoring guard needs to learn how to trust his teammates a little more and realize a contested jumper for him isn’t his team’s best option, but he has all the tools to be a 20-point scorer in the NBA for a long time. The Kings need talent at just about every position, and Markkanen is an offensive talent that doesn’t come around too often. The 7-footer has legitimate 3-point range and enough skill to take defenders off the dribble. He offers very little defensively and on the glass, but that’s what Willie Cauley-Stein is here for. Markkanen can be the stretch-4 that spreads the floor for WCS and George Papagiannis, the team’s 7-foot-1 lottery pick a year ago. Mitchell is one of the most underrated prospects in the draft. He’s a menace on defense, and his offensive game progressed nicely during his time at Louisville. The combo guard still needs to develop his outside jumper, but he’s athletic enough to do damage at the rim on the next level. Pairing him up alongside Kemba in the backcourt will give Charlotte a secondary ball handler to allow Walker to utilize more down screens while also significantly upgrading its defense. Shooting is at a premium in today’s NBA, and Kennard is a knockdown 3-point marksman. In a pick-and-roll offense with a behemoth like Andre Drummond on the floor, spacing is at a premium. Very few, if any, players in this class will help fix spacing issues more than Kennard. Collins is a bit of an unknown after playing a reserve role in his only year at Gonzaga, but scouts love his size, athleticism and touch around the rim. The Nuggets weren’t too far out of playoff contention a year ago, but they were lightyears away from competing in the Western Conference. They can afford to draft a player like Collins and let him develop for a few years without needing that immediate return. He’s too good of a value pick at No. 13 to pass up, even with Jokic on the roster. As long as Pat Riley is running the show in Miami, the Heat are in win-now mode. Anunoby is coming off a knee surgery and may not be ready for the start of the season, but he’s the type of player every team in the league is looking for to match up with the LeBrons and Durants. 3-and-D wings are at a premium, and Anunoby has all the tools to become a fixture in that role for a long, long time. The Blazers have three first-round picks, so they can afford to take a bit of a risk with at least one or two. Giles entered the season as the odds-on favorite to be the top pick, but after multiple major knee surgeries and an inconsistent freshman year, he’s barely considered a lottery selection. If Giles can ever get healthy, he can be a force. His pre-injury game was similar to Kevin Garnett, and if you can get KG-esque player outside of the lottery, you’re hitting a home run. The Blazers don’t have the best history with injury-plagued bigs, though. The Bulls have a lot of needs, and don’t appear to be in any shape to contend with the Cavs in the immediate future. That’s why Allen makes sense here. The Texas product is a few years away from being a real factor in the NBA, but he has all the tools to develop into what every GM wants in a modern-day center. He’s long, laterally quick enough to stick with guards, and has a knack for blocking shots. The Bucks need to do everything in their power to maximize Giannis’ talents. His biggest strength is driving to the rim, but he can’t do that if the lane is clogged. Leaf has the ability to draw the defense away from the rim as a stretch-4, but he can also score with his back to the basket if he has to. Leaf is a major defensive liability, but Giannis’ arms are so long he can cover for all his teammates at once. Paul George announced this week he has no intentions of signing long-term with Indiana, so it’s time to start looking for his replacement. There aren’t any small forwards left oozing with potential, but Jackson represents the best short-term solution. He’s ready to step in and contribute immediately, even if his ceiling isn’t much higher than where it is right now. The Pacers don’t appear ready to hit the full reset button yet, so Jackson gives them the best value in terms of staying competitive while also building for the future. Paul Millsap could be on his way out this offseason, leaving a major void in the Hawks’ frontcourt rotation. Swanigan isn’t built like your prototypical NBA player, but the man knows how to get buckets from just about anywhere on the court. Playing alongside another big, Swanigan can spot up in the corner. If he’s playing alongside a more perimeter-oriented big, he can use his massive frame to post up his defender. Rebounding is also a stat that almost always translates from college to NBA, and Swanigan was one of college basketball’s best rebounders a year ago. Collins is less of a gamble than Giles, but he’s still a work in progress. One thing you don’t have to worry about with Collins is his ability to rebound. He was a one-man wrecking crew on the glass at Wake Forest against ACC competition. He was the most effective P&R scorer in the country a year ago, destroying defenses as he rolled to the rim. Dame and CJ are tough enough to guard by themselves, but throw a dangerous rim runner into the mix and that play is virtually unguardable. The Thunder need more playmakers. Russell Westbrook can’t do everything by himself, and the Thunder can’t continue to plummet when he’s on the bench. Evans is a bit undersized, but he’s a dynamic athlete who can create his own shot and get open looks for his teammates. Cameron Payne never panned out as that second PG for the Thunder, but the team desperately needs to find a playmaker to keep the team afloat when Russ is out. Evans virtually carried the Cowboys all season, so he has experience in that role. The Nets need help at every position on the floor, and Wilson can contribute immediately in a number of areas. Offensively, he’s a stretch-4 who can occasionally beat defenders off the dribble and punish them at the rim. His best traits come on defense however, where he’s long enough to contest shots around the rim and quick enough to switch on perimeter screens. Rabb would have been a surefire lottery pick if he declared a year ago, but he decided to return to Cal for his sophomore season. Rabb didn’t play poorly by any means, but this year’s draft is just significantly deeper than it was a year ago. Rabb is a lanky, rangy defender who can help shore up Portland’s interior defense. He’s also effective as the roller on side P&Rs, which Raptors the use often. Gobert is one of, if not the overall best center in basketball, but the Stifle Tower is limited offensively. Patton, however, is not. The 7-footer has great touch around the rim and can step beyond-the-arc and do damage if left alone. Patton isn’t a great rebounder and he gets lost in rotations of defense, but the offensive upside is too much to pass up this late in the draft. The Magic need scorers and playmakers on offense, and Jackson kills two birds with one stone. The Duke PG is more natural in scoring/attack mode, but he did play a decent bit of facilitator in his one season under Coach K. Jackson tested off the charts athletically at the combine and played extremely well in the 5-on-5 games. This is a little higher than most mock drafts have him going, but a team like Orlando could seriously use his talents. Ferguson is a bit of a forgotten commodity, as he signed with a professional team in Australia instead of playing a year of college basketball. But he was a top-20 recruit coming into the year, and played some of his best basketball on the biggest stages. Ferguson is a freak athlete and a streaky shooter capable of exploding at any minute. The Blazers already have two dynamic guards on the roster, but having too many players of that mold is never a bad thing. The Lakers get their UCLA freshman, just not the one most expect. Anigbogu is built from the Tristan Thompson mold; a defensive-minded big who cares more about blocking shots and grabbing rebounds than scoring. For a team stacked with young guns fighting for shots, he’s the perfect fit. The Spurs, minus Kawhi and Jonathan Simmons, are old and slow. Adebayo could change that in a heartbeat. The 19-year-old’s body resembles a Greek god, and very rarely do you see him get pushed off his spot. With Aldridge and Gasol aging and Dwayne Dedmon as the first big off the bench, the Spurs could use an energy player like Bam Bam. With the last pick in the first round, the Jazz take a local kid. They could go with a draft-and-stash player, but Kuzma is a great value pick this late in the draft. He doesn’t fill a major need, but his basketball IQ and ability to cut without the ball could make him a valuable addition to Utah’s second unit in 2018.